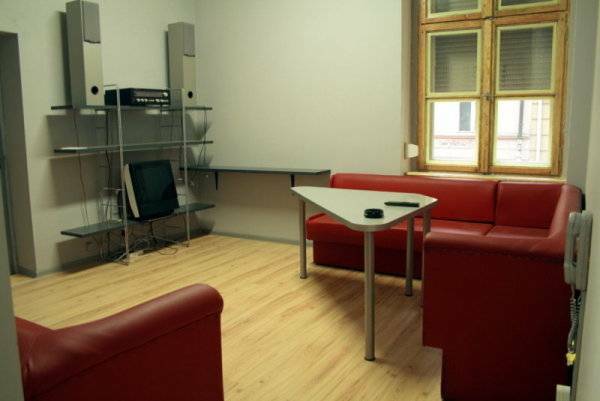 Hostel 8 is a budget accommodation in the centre of Poznan. We have a selection of doubles for the really price conscious traveler. Guests can enjoy free internet access. Free coffee and tea are available 24/7 in the common area. The beautiful building gives our guests the chance not just to see Poznan's history but also to sleep in it! The restoration has added all modern facilities without spoiling the building's character. Our mission is to provide comfortable, secure, clean and attractive accommodation to the budget traveler. Don't just see Poznan's history; live in it for a while! Buses 48, 59 and special line 'L' will take you to the center of Poznan. All the above mentioned buses arrive at Rondo Kaponiera (Baltyk Stop); Get off there and get onto tram # 5 or 13 headed towards Wroclawska (Wroclawska Street). From there walk towards the Old Brewery and Hostel8 is located on Dluga 8 Street (first street going left from Polwiejska street). You have to get to the tram station located on Most Dworcowy (Railway Bridge) and take tram # 5 toward Stomil (tram destination); Get off at Wroclawska (Wroclawska Street). From there walk towards the Old Brewery and Hostel8 is located on Dluga 8 Street (first street going left from Polwiejska street).